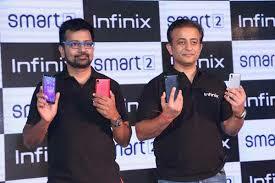 Infinix Mobile, the online smartphone brand from TRANSSION Holdings, announced the launch of its global “SMART” series in India. The SMART 2 flaunts many industry-first innovations in the sub 6K smartphone segment such as the 18:9 Full View display, 8MP Low Light selfie with Dual LED Flash, Dual SIM, Dual VoLTE (4G+4G), and Face Unlock. Infinix Brings Dual VoLTE in Sub 6K Segment 0 out of 5 based on 0 ratings. 0 user reviews.